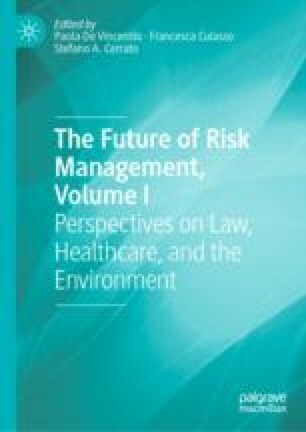 This paper explores the environmental risks within the institutional, the business management and the stakeholders’ dimensions through a critical qualitative approach. The research is carried out studying more than 100 articles and taking into consideration the weight of the leading management theories in the academic field, their primary aspects and how they serve to approach environmental risk management. The results are obtained through a systematic literature review, also from a theoretical didactic perspective. The outcome of this paper evaluates the theoretical impact and the conditions of the various management theories on the topic of ERM. The result provides directions for the application of different management theories and the multidisciplinary aspect of environmental risk management. Davis, J., Schoorman, F., & Donaldson, L. (1997). Toward a stewardship theory of management. The Academy of Management Review, 22(1), 20–47. Retrieved from http://www.jstor.org/stable/259223. Freeman, E. R., & Evan, W. M. (1990). Corporate governance: A stakeholder interpretation. Journal of Behavioral Economics, 19(4), 337–359. https://EconPapers.repec.org/RePEc:eee:beheco:v:19:y:1990:i:4:p:337-359. Jung, J., Herbohn, K., & Clarkson, P. (2014). The impact of a firm’s carbon risk profile on the cost of debt capital: Evidence from Australian firms (Working Paper). UQ Business School. https://www.uts.edu.au/sites/default/files/Peter%20Clarkson_22.09.14.pdf. Williamson, O. E. (1984). “Corporate governance” faculty scholarship series. 4392. https://digitalcommons.law.yale.edu/fss_papers/4392.